Thank you for joining us this past Wednesday! 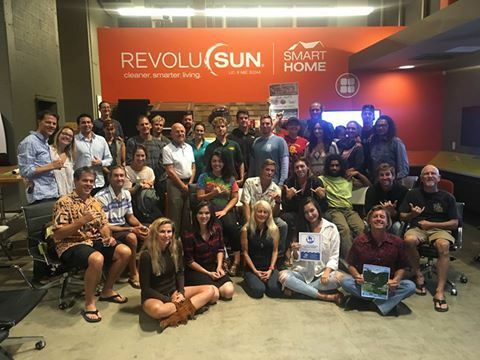 Surfrider Foundation Oahu Chapter : We had a fantastic turnout at our brand new RevoluSun headquarters! It is always nice to see some old faces and to get introduced to new ones! Hopefully everyone enjoyed the discussions, food, wine, and talk. Here’s a short list of some of our upcoming events in case anyone missed them. Also… were you inspired by our last meeting? Do you want to take action for our oceans and beaches RIGHT NOW? You can do this from your computer, phone, or tablet! Just sign this action alert to demand that the Hawaii Department of Health must post signs to protect the public from swimming in contaminated water. Remember, our meetings are every first Wednesday of the month! Mahalo for all of your time and support!